Put some fun into your family dinner with a Game Night and Taco Bar. Everyone has more fun when there is food involved so, spread out the taco “fixin’s” and start the par-tay! Thanks for stopping by today! 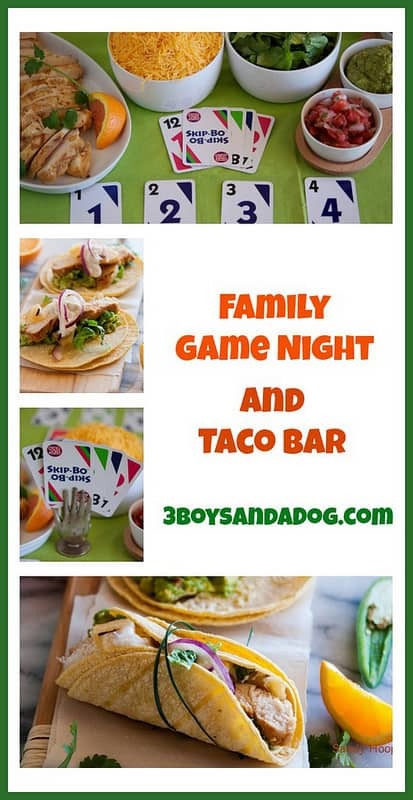 I’m over at Kelli Miller’s today doing a guest post on Family Game Night dinners for her fantastic blog 3 Boys and a Dog. You know me, family dinners and teenagers are sort of my specialty. So, I was really excited when Kelli asked me to join her Family Game Night event this month and share my Cancun Grilled Chicken Recipe with a “Taco Bar” twist. 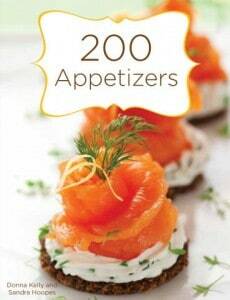 Kelli will host daily additions to her Game Night theme written by other terrific bloggers all month long. So, come on over and “meet” some other amazing bloggers and get some great ideas for Game Night. But! Be sure to come back for our next post, I heard some rumor about a Southwest inspired St. Paddy’s Day dinner recipe coming up next. Thanks for stoping by Everyday Southwest! We LOVE hearing from you so, be sure to leave us a comment on this post or on Facebook and let us know what your family’s favorite game night is. Follow us on Facebook or Twitter and sign up for our email updates so you will never miss a new recipe.